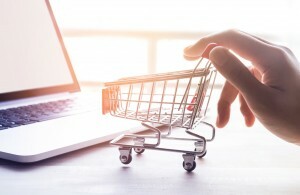 The absolute best practices that e-commerce warehouses follow for fulfillment allow for lean solutions that keep everything organized while minimizing costs. The best warehouse practices involve using up-to-date technology, having highly trained staff, and implementing decisions that will get your merchandise into your customers’ hands in a speedy, efficient manner. e-Commerce leaders Amazon.com have popularized this counterintuitive system of putting items on any available shelf space. However, this works because leading warehousing solutions are using automated software to track merchandise rather than the old school methods like Excel spreadsheets, or eyeballing techniques. Automated processes reduce errors and inefficiencies when compared with manual processes. Furthermore, Amazon gets twice the power of barcodes by using them to organize shelf space, as well—then empowering every warehouse employee with an accurate, current list that can easily be picked from. Rather than invest precious capital in the lengthy, resource-sapping process of developing in-house solutions, consider simply contracting out warehousing. Select a total warehousing solution, or hire a warehousing company for the specific services that you need. Gone are the days where you ordered online and needed to wait several days to get your merchandise. Now today’s customers have been conditioned by expectations that they will get their order fulfilled with same-day shipping. Same-day shipping is possible because of the evolution of warehouse management practices for e-commerce, including automated pick-and-pack technology, new configurations of fulfillment centers, and many other innovations. National networks of fulfillment centers will also facilitate same-day shipping. It can often be confusing and outright upsetting when a consumer sees the same item on sale for two different prices between a retail outlet and an online listing. This is where a business can create opportunities by offering a seamless omni-channel approach. However, to have a true omni-channel approach for your business requires coordinated effort between warehouses and distribution centers. A warehouse that is utilizing the latest in technology, be it cloud-management services or efficiently-designed crossdocking procedures, will be able to complement your omni-channel approach by delivering what you are promising your customers. Giving the customer exactly what they want is the entirety of fulfillment. Select only the best-in-class fulfillment solution that boasts the industry average of 99.94% accuracy in picking orders. Furthermore, during seasonal peaks, accuracy should not drop off. Processes like barcoding, shelving system automation, knowledge of best shelving and packaging practices, and so on will allow a warehouse to eliminate most errors or damage caused by handling, which in turn, will create more satisfied customers. Managing returns takes a multipronged approach that starts with having a clear return policy, as well as giving your customers the ability to print off their own shipping labels, thus saving you from increased costs. A leading warehouse will be able to effectively track and process returns so that your customers find satisfaction. The majority of e-commerce warehouses are housed in the same place as traditional retail and business-to-business inventory is housed. A warehouse that is highly-organized and allocates space for e-commerce will fulfill orders quickly and efficiently. Therefore, warehouse operations for e-commerce need not be different from other branches of your business. Your warehouse management system can do a lot more than track inventory or tell you where merchandise is located. In fact, today’s WMSs are effective tools to handle the challenges of e-Commerce today. This includes the shipping of many smaller orders that e-commerce can consist of. Other methods that streamline warehouse processes include the use of “pick-to-light” technology, which allows a warehouse team to place several items from a single order into one box. A cluster-picking strategy of using a bigger cart to increase pick rates will save trips across the warehouse when selecting multiple orders. Effective use of technology enables superior training of staff. Furthermore, when the right software is utilized, any smartphone or tablet can be used to view inventory levels in real time and scan barcodes to empower each employee to facilitate in picking operations. Other technologies like transport management systems (TMS) and RFID solutions that can track items from the order line, to SKU pickup location are also necessities. Training needs to be consistent and ongoing. This can be aided greatly by cloud-based dashboards, training videos, and other tools which simplify employee education. When it comes to onboarding employees, a speedier and more efficient process means that overhead and other delays are reduced—something that is of critical importance during seasonal rushes where there is always more and more to do. Get Outsourced e-Commerce Warehousing with APS Fulfillment, Inc.
Are you looking for a reliable, cost-effective, and dependable way to outsource fulfillment? APS Fulfillment, Inc. is a company that has a winning-record of providing fulfillment solutions for e-commerce companies using the best practices in warehouse management techniques. Our team has the right training and understanding to handle all of your needs for e-commerce fulfillment solutions. We also offer direct mail marketing and fulfillment marketing. For more information or to request a quote about our services, you can contact us by e-mail at [email protected] or by phone at (954) 582-7450.